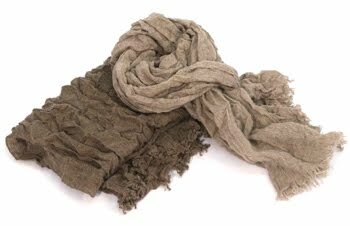 Fabrics that are hand-loomed from age-old natural fibers such as cashmere, linen and wool, have become rare, except by individual artists. But not for a company in Catalonia, Spain, where traditional ways are being resurrected and revered. Innovative Teixidors has put a brilliant, socially-conscious twist on an ancient art. Not only have they embraced and revived the nearly lost art of hand-looming, but have done so with a deep respect for the craftspeople that weave for them, but with respect for the earth's well-being as well. Teixidors takes the time to train men and women with mental disabilities to manage the complex hand-looms to weave the individual fibers into the uniquely variant textiles, an intensive process that can take up to 4 years to learn. This kind of commitment comes from a "Uniqueness As A Philosophy" business model that the company embraces, celebrating the inevitable difference of each weaver's textile variations. This builds a workforce of dedicated and highly skilled artisans. Sourced fibers are all natural and of the highest quality. They also are processed with earth-safe methods. The resultant products for home and personal style are destined to become treasured keepsakes. I'd like to applaud the companies' commitment to socially-conscious employment and innovative sustainability. Now, are there any American companies taking a similar route?